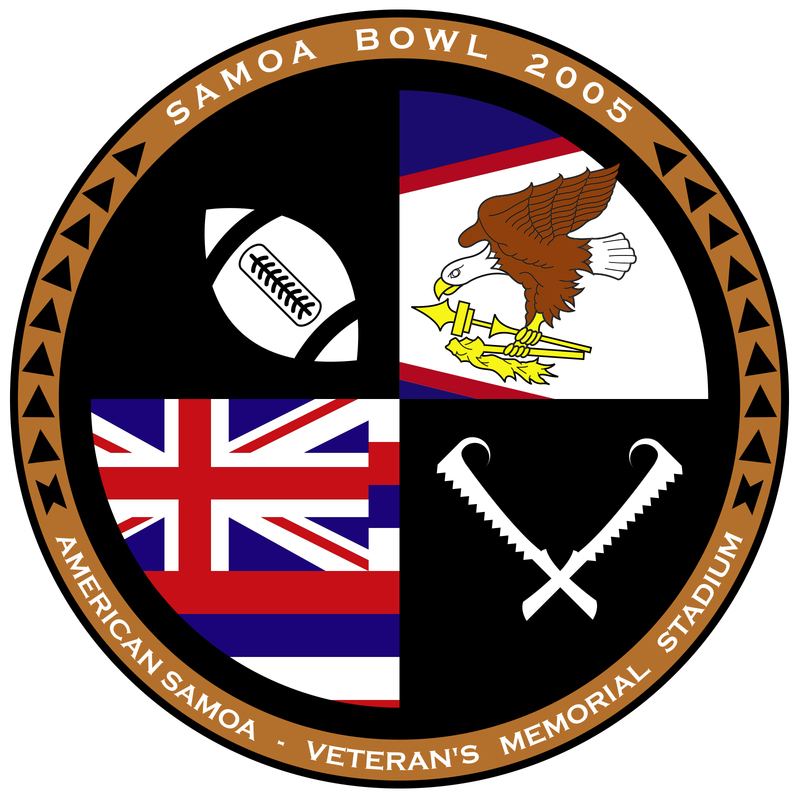 While working on the design for the promotional poster calendar for the Samoa Bowl the logo orginal logo provided was re-designed to fit the artwork done by Pasefika Designs. This redesign is inspired by more of a seal like composition to showcase the two flags of Amerika Samoa and Hawai'i. The war club shapes were also replaced by more recognizable 'Nifo Oti' traditional Samoan war clubs and silluoette of the football player replaced by a minimal football graphic. This helps to establish the relationship of football and atheletics as a contemporary from of competition for the youth who have been raised in a culture that traditionally included warfare.